I have a secret favorite past time I'm not sure I've ever shared with anyone. I have an insane curiosity for reading readers reviews of books, both on Amazon and on Goodreads. They are intriguing, especially the "bad" reviews. BOY can those things be brutal. Now, I'm not obsessed with this, but as I ready myself for the onslaught of "reviews" both good (hopefully!) and bad (I'm a big girl!) it helps me brace for the experience. Many times, the "complaints" are in direct opposition to the "good" reviews, which makes it even more interesting. There are so many other fun notes about reviews to post, but today, I want to focus on a fun difference of opinion I see quite a bit. It's the fun Love/Hate relationship readers have with our characters. An example in a debut novel by one of my SUPER awesome author friends. 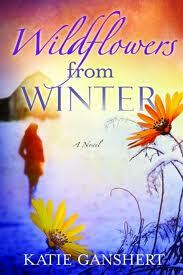 Katie Ganshert's new release Wildflower from Winter got a review with this note, "While the characters were described well, I didn't relate to them..."
Yet, she also go another one with this statement, "Bethany is a wonderful multifaceted character that I easily identified with..."
And even in my very small handful of reviews I've already received on my to-be-published novel, Sandwich, with a Side of Romance, I've seen differences in opinions. "Maddie was more annoying than adorable"
"I loved the conversations Maddie had with God. (I’ve had many similar ones with Him myself.) These conversations are where most of the inspiration comes from in this story; Maddie’s ‘requests’ and God’s answers. Her requests were a bit cheeky yet realistic, His answers were as you’d expect. This was definitely a light and refreshing way to give the reader some food for thought." But these difference in "relating" or "liking" our characters isn't relegated to debut novelists like Katie and I. Even the amazing Francine Rivers has reviews that talk about how her characters are "flat", yet has hundreds to thousands of reviews gushing over her phenomenal writing and telling how her characters have impacted the reader's lives. HERE is the thing about characters in relation to our readers-- Get ready for this, it's a really deep revelation! Some readers will love them. And some readers will hate them. So what do we do as writers? We can't please everyone, so how do we know WHO to please, and how do we make sure we please as many as possible. 1.) GOD TRUMPS ALL. At least for me, God is my 1st and most important audience. This doesn't mean my character has to be perfect or overly religious or anything like that. But God can use our flawed characters for his glory, and my prayer is always that God is pleased with my writing. 2.) DO YOU LIKE YOUR CHARACTER? This almost goes without saying, but sometimes it's easy to get wrapped up in your character that you need to take a step back and make sure you, the writer, would love/relate to the character if you were the reader. 3.) KNOW YOUR GENRE. Different genres have different "requirements" so to speak about characters. Someone who writes Amish romance will have a slightly different set of readers to please than someone who writes romantic comedy. 4.) DON'T FORGET YOUR MOTIVATION. You can still have flawed, realistic characters in your novels... as long as they have appropriate motivation for their flaws and actions. We need to understand why they are how they are, and be able to root for them to conquer their flaws. 5.) REDEEM YOUR CHARACTER. For every annoying/unlikable trait your character has, add one or two endearing ones. The more unlikable the trait, the more endearing ones they need. It is easy to get so caught up in making a realistic character with flaws that people can relate to that we forget that our readers need to be able to root for our main characters. Not everyone is going to like all of your characters. That's a fact we need to accept right now. But that doesn't mean we don't try to make our characters capture as many readers' hearts as possible. And for the record... the readers who didn't like them? They aren't wrong. It is their opinion... they have their own personality that draws them toward certain types of characters. Have you ever read a book that had rave reviews and you were like, "Eh, yeah, not my cup of tea"? I think we all have. The customer is always right... and so is the reader! Discussion: What are some flawed characters you've read that you have still loved? What are some FAVORITE characters in books you've read? How do YOU try to write dynamic characters who will click with the most readers possible? Oh goodness, where to start? Reviews are a funny animal. I mean really...they are just a person's opinion. So why are they so important? We don't know if our tastes are more similar to the reviewer who hated it or the reviewer who loved it. So I rarely rely on reviews to sway my decision to purchase a book. I always go by the cover (gasp) and the back cover copy. As for flawed characters, I think I love Mr. Darcy best. He is so prideful and his speech on loving Elizabeth against his better judgement...well, that is classic! Sherrinda, I'm the same way with reviews. The only time I think they are potentially telling is when they are severely lopsided to the negative... or even half and half. Reviews are just one place we see readers opinions. But you're exactly right, to judge if you'll like a book, it's hard to rely on reviews, or even opinions of other. We all have our own set of "tastes." LOL...no tomato throwing here. I read Pride and Prejudice, but I skimmed a bunch of it. :) I haven't read any more of her works either. I just watch the awesome movies! *Gasp* over you never having read P&P! I've read all of Austen's works and love them. One really flawed character that I'm sure others might bring up is Katniss from Hunger Games. She has major, major flaws and yet, she sacrifices herself for her sister. That endears us to her. So every other time she does or thinks something despicable...we can still cling to the fact that she wanted to save someone else. 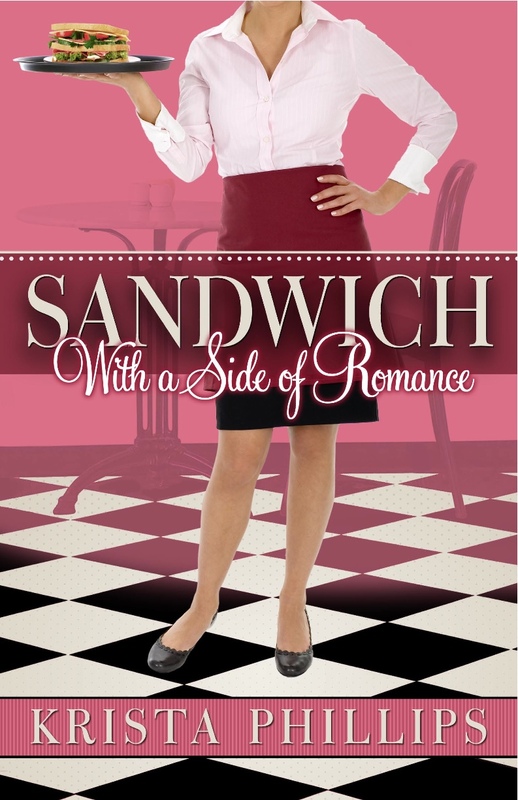 I had a hard time with one of my characters because a lot of my beta readers told me she was too uptight. They cared what happened to her because it affected another character, but not so much for this character herself. So I had to make her more relatable, give her more depth. Krista, great post. You bring up some good points. One of my characters is not as likeable as I wish she was. :) Your suggestion of giving her more endearing qualities makes a lot of sense. Susan May Warren is so good at coming up with flawed yet likeable characters. In The Shadow of Your Smile, Noelle and Eli Hueston both have issues, but the way she weaves their stories together make them likeable too. I understood the reasons they made the choices they did, even though I may not have always agreed with them. I totally agree with all your points, except number 5. I think some characters are highly unlikable, with only maybe ONE redeeming trait, but they kinda grow on us. Like Scarlett O'Hara. That girl can get under your skin, but by the end of the book, we're starting to see why she acted the way she did. And by the end, she's STILL a work in progress! Great post, and definitely true that we need to please God AND write something we'd want to read ourselves! First character that comes to mind is Charity O'Connor from Julie Lessman's books! Nope - don't like her! I love Julie -a nd I love what Julie does with Charity, but I don't like her. And yet, the story is still a beautifully written, amazing piece of fiction! I think one of the hallmarks of a top-notch writer is the ability to have SOMETHING within the novel that we can fall in love with. If it's the charactrs...great. IF it's the setting...wonderful. If it's the plotline...fabulous. The very best are those that make us fall in love with ALL of those at the same time - particularly the characters. Oh - and 'falling in love' with characters, settings, or plots might be a bit strong. Intriguing, interesting, or causing some sort of strong emotional reaction in us might be what the author is going for too. I DID NOT fall in love with Mr. Collins from Pride and Prejudice, but I loved the purpose he served. I did not fall in love with Lorna Doone, but her story, plot, and setting were fascinating.